How Feasible is Commercial Solar? The solar power market may not be as comprehensible as it sounds. 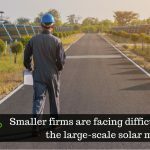 For a business owner, installing solar panels might seem to be jeopardizing especially in a market that is complicated and esoteric in nature. Some of the major Fortune 500 companies have taken the solar course. This, however, may have not encouraged you to go solar considering the major investment that you must make initially. Going solar might be a strategic financial decision or a step towards environmental friendly power or both (mostly, both). Considering the pros and cons of solar energy for the commercial solar sector, one would conclude that it is absolutely feasible for businesses. But, you need to be careful about several factors. Honestly speaking, many small and medium sized businesses today have embraced solar solutions. The old-school thought of skepticism seems diminishing now with the considerable drop in the cost of buying and installing solar panels in the last five years. To add fervor to the opportunist’s intents, electricity prices continue to skyrocket. This altogether has made the economics of solar more attractive. Businesses, irrespective of their sizes, are on course to capitalize on the financial opportunities of installing solar, manifesting that a solar energy system is a crucial strategic decision that can guarantee a substantial financial return for your business in the long run. Apart from decreased equipment and installation costs, there are other factors conducive to solar power for the commercial solar sector. The budget for 2017 was somewhat a disappointment for Indian renewable energy sector with reduced accelerated depreciation and tax benefits, it however also had certain points that would benefit the solar sector, for instance, a second phase of solar park development, close to 7000 railway stations going solar, removal of 5 percent basic custom duty (BCD) on solar tempered glass, and many more. Apart from this, businesses can benefit with accelerated depreciation of the solar asset from their taxes, providing a significant offset to the upfront cost of the solar system. 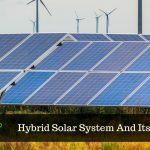 In some markets, solar owners receive payment from their utility for the solar electricity that their system generates, greatly enhancing financial returns for the system owners in the long run, over the life of the system. Safeguard against electricity price volatility and inflation is another substantial benefit for businesses. Going solar facilitates companies to budget and plan for future by reducing reliance on an unpredictable expense. 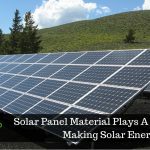 In case you are not in a position to pay up front, there are many financing options available to businesses with considerable credit, including solar debt funding, solar loans, leases and power purchase agreements (PPAs). Financial incentives of going solar are not the only factors contributing to your success. A commitment to sustainability attracts many current and potential customers, who feel contented with products and services powered by the sun. A solar installation provides a great opportunity to promote your business and raise community awareness. Not only your customers, even your employees will feel good about sustainability minded endeavors. Your commitment to solar power will make your employees passionate, more productive and charged up with the company’s mission. Solar energy for commercial solar sector is providentially on the rise. Going solar will reduce energy costs, provide an independent backup of power and display environmental-friendly concern through sustainable business practices. Needless to explicitly state after such a long discourse, but the bottom line is that solar energy is highly feasible for the commercial solar sector.